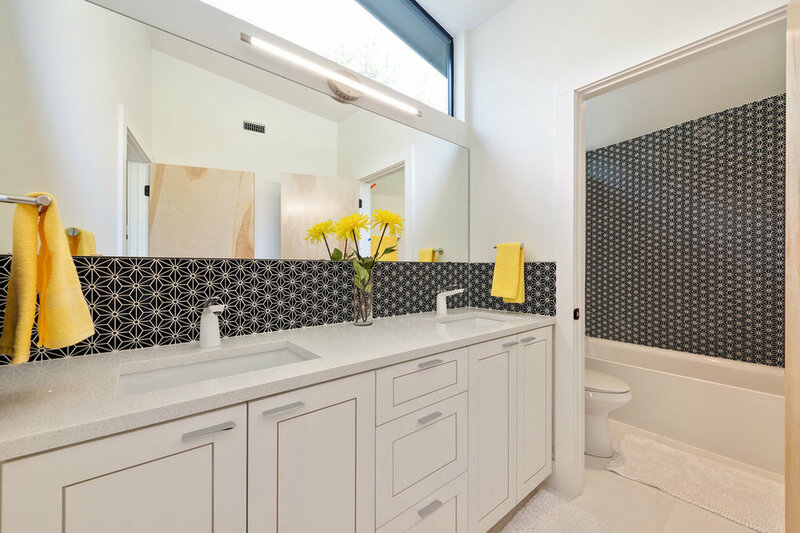 There’s some really cool tile on the market that our clients and interior designers have been using to bring richness and texture to our interiors. These tiles reflect unique and historic patterns, sometimes resembling a Moroccan carpet or Victorian ballroom. The more modern ones may exhibit tessellation (an arrangement of shapes closely fitted together ), a circuit board pattern or bold colors and geometries. Some even mimic a three dimensional effect. Tile that looks like wallpaper on a house we designed in South Austin. This tile has a distinct geometry and textured effect. A backsplash is the ideal place to use it since it won’t often need cleaning which may be difficult for this kind of tile. 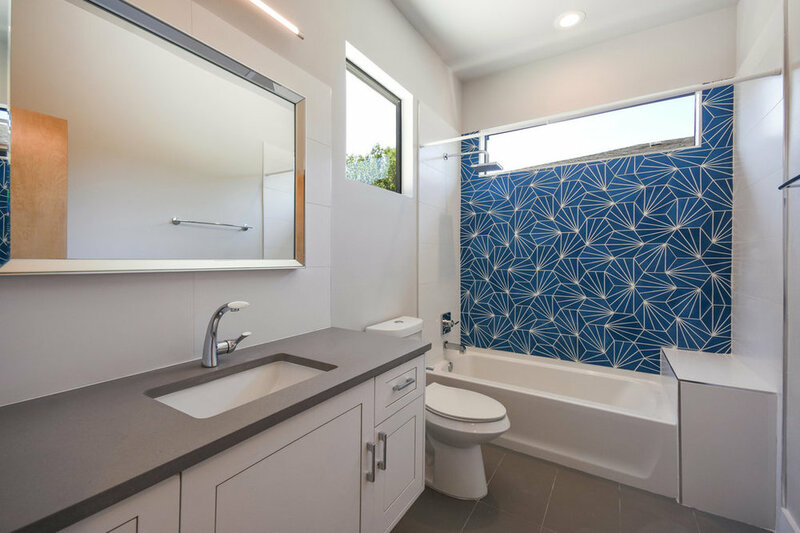 An otherwise plain bathroom can become interesting with the right use of tile. The floor tile on this bathroom would not be out of place on a 18th century bath house however it adds richness to this modern bath on our Peacock Residence.